**Top quality** and more than twice the content - 600 mg in each capsule. Top quality: made by hand with the best quality neem leaf powder; and with more than twice the content in each capsule (600 mg). The exterior of the capsules is made exclusively with the matter of vegetable origin, with the certification of the Vegetarian Society of the United Kingdom. Neem leaf powder capsules are an herbal ayurveda remedy from India, used for purification and cleaning of the blood. Neem is antibiotic and purifier, immune stimulant. It strengthens the immune system, protecting against all kinds of diseases, including flu(*). Antiparasitic that respects the intestinal flora. Hypolipidemic agent, i.e. it has the property of reducing lipid levels in blood, contributing to the control of cholesterol. It reduces the discomfort of gastro-duodenal ulcer, regulating the PH, prevents flatulence, and provides light digestion. (*) The habitual consumption of neem capsules, contributes to prevent winter flus or colds practically not to be caught, and protects against other viral diseases, for example, on trips to exotic countries. In addition, in case of illness, the duration and severity of viral processes will be much lower. For diabetes, neem offers the opportunity to reduce the number of injections, in an effective and safe way. Neem can also reduce the dose on hypoglycemic treatments, increasing their effectiveness in those diabetics who do not depend on insulin. <Read more>. Experiments and reports carried out in patients with psoriasis suggest that taking neem capsules, combined with a topical treatment (such as baths, soap, lotion or ointment) neem oil may be, at least as effective as coal tar and cortisone in the treatment of psoriasis, with none of their undesirable side effects. The treatment should be of two capsules daily, at least for 6 months, to begin to see results. In addition, it is extremely effective as a preventative and treatment of prostate problems; as well as articular requirements for all types of pain, such as arthritis or osteoarthritis of the toe of the foot. During thousands of years of use in traditional medicine, and during tens of years of recent scientific research they have shown the usefulness and safety of consumption of fresh or dried neem leaves. However, consider that the neem oil has been used since antiquity as a natural contraceptive in India. So, if you are or intend to become pregnant, you or your partner should not take neem capsules. Due to some of its properties, similar to aspirin, consumption in children less than 14 years is not recommended, and in any case when they suffer a viral disease with fever processes. Composition. 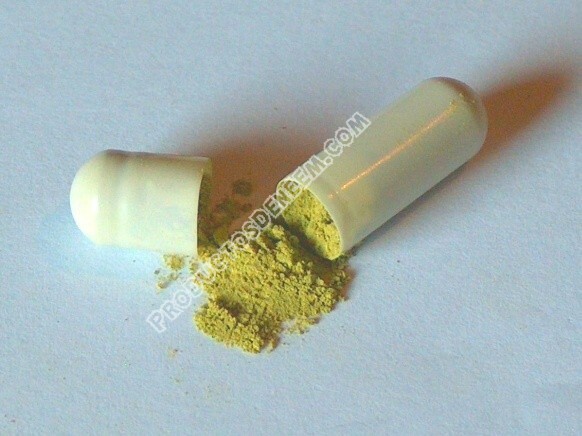 Neem leaf powder 600 mg. Other ingredients: transparent capsule of plant origin. Use. 1 capsule, 1 or 2 times a day during or after meals.